When it comes to sports, it’s not only about the players on the field. Representation in the arena, on the TV, in leadership positions in media organizations and behind the scenes is equally important. Most women in sport media don’t shy away from calling the industry a boys club. It’s probably not surprising that a 2017 study by the Women’s Media Center found men produce more sports stories than women in America. For women of colour or non-binary people, these statistics are probably even worse. And most research seems to focus on women’s bylines or on-camera appearances, not women in technical, digital or leadership roles. Although things are getting better—there are more women in certain roles, for example—there are still barriers to women’s participation, both in the classroom, in the control room and in the field. What has happened to get to where we are now? Where is the industry going next? 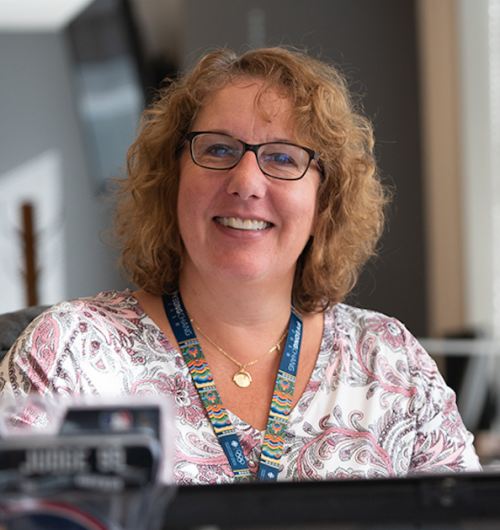 When Karen Sebesta left her job at Hockey Night in Canada in the early 2000s, three other individuals had to be rehired to take on her place. The senior producer at CBC Sports leads production of live events internationally and domestically. Sebesta helped create the RTA sport media program and its curriculum at Ryerson University, when she decided she wanted to come back and teach at her alma mater. When she first pursued her RTA degree at Ryerson, Sebesta knew she wanted to work in television covering entertainment. But, when the opportunity showed itself, she joined TSN, which she described as a “tiny little sports station” that had just started up at the time. Sebesta said she got a lot of opportunities she wouldn’t have gotten otherwise. She worked there for five years, but after a while she felt like she wasn’t learning anything. Sebesta would go on to work at CBC for the next decade and would cover news and entertainment before returning to cover sports for Hockey Night in Canada. Moving forward, Sebesta says the industry is changing as equipment and technology becomes more accessible to women. But most importantly, they need to be able to put in the effort and the drive to get the work done. At the time, she didn’t recognize why she was so upset by what happened. 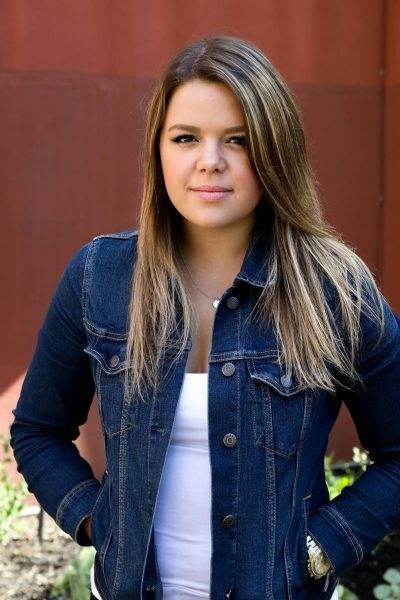 Now, as a fourth-year sport media student and producer, she sees the double standard. Harris says she’s in a unique spot, working in both digital and broadcast sport media as a student. She says there’s more women’s representation in broadcast than digital media, and notes the importance of representation in any facet of the industry. 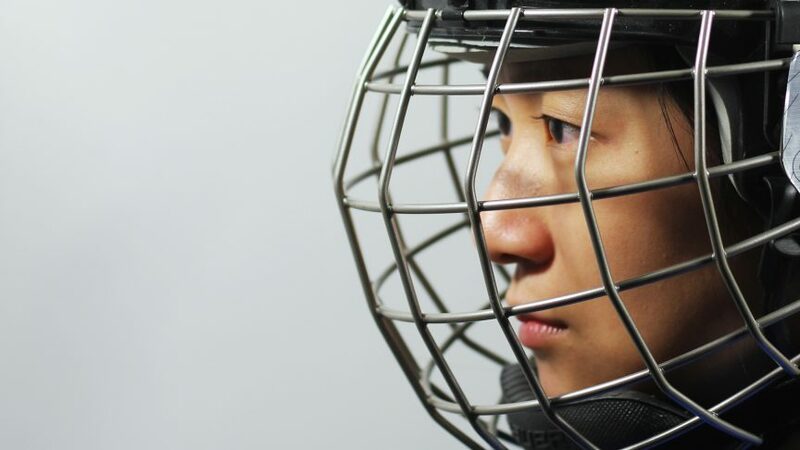 Sarah Jenkins played competitive hockey her entire life, but never saw sports as a viable career option. 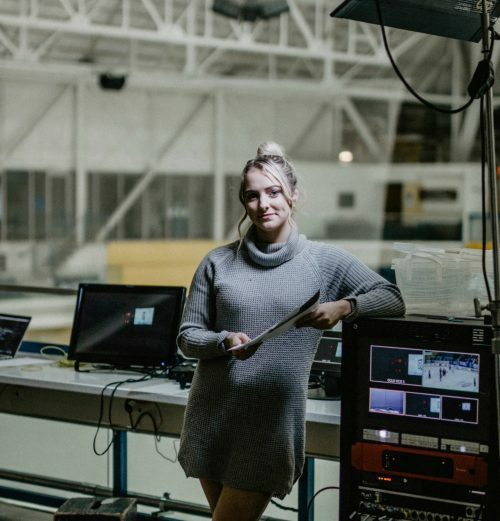 It wasn’t until she was applying for university programs that her dad suggested she try sport media at Ryerson, a brand-new program at the time. She graduated in 2018, and she’s now a video producer at Yahoo! Sports. She’s also the co-chair of the Women’s Inclusion Network at Verizon Media. “If we can find a way to have those ‘aha moments’ way earlier for young women, knowing especially in high school [they can choose] sports as careers, then it’d be such a game changer,” Jenkins says. Up until recently, Jenkins was the only woman on her team at Yahoo! Sports. When reviewing job applications, she made an effort to vouch for women. If she had seen her own job posted online, she wouldn’t have applied. It was only when the chair of her program told her she was the perfect candidate that she decided to apply—and ended up with a full-time job right out of university. “It’s scary to think I wouldn’t even be in this position if I wouldn’t have had someone push me and give me that extra boost and say, no, you are good enough for this role,” she says. Jenkins says she wants to see more visibility in the industry. “It still is totally male dominated. I go to morning skate and I’m way more conscious about what I wear and what I have to look like,” she says.